Conflict Resolution Counselling Melbourne – Conflicts are natural, you could have a conflict with your family, children, friends, your boss or anyone. You cannot prevent having conflicts in your life but you can work on conflict resolution. There are proven conflict resolution techniques designed by experts which involve discussion, mediation, openly acknowledging the problem and then coming up with a solution together to solve the problem. Melbourne Counseling Center has designed a specific program known as Conflict Resolution Counselling Melbourne to help people successfully resolve any conflicts they are facing. Conflict Resolution, Make The First Move! Conflict does not necessarily involve fighting, conflicts can be internal or external and can happen without fighting as well. Any form of conflict with anyone can be resolved with the right counselling techniques, and Conflict Resolution Counselling Melbourne provides the techniques necessary for conflict resolution. The right counselling techniques for conflict resolution can help you release your feelings in a constructive way, help you stabilize your emotions and create an understanding between you and the person you are having a conflict with. Moreover, conflict can lead to stress and other problems, so it is important to resolve the conflict in a constructive way so that stress and anxiety about the conflict can be reduced or removed. If you are facing a conflict in your life, or need someone to mediate a conflict at your workplace or in your family then Conflict Resolution Counselling Melbourne can help you resolve both personal and professional conflicts. It will help you create a positive way forward from the conflict and achieve positive growth in your life. 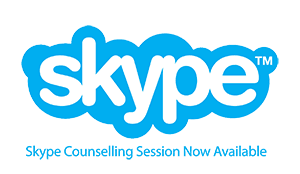 Please use the online contact form below to get in touch with us regarding booking enquiries for Conflict Resolution Counselling in Melbourne.